Quite often foreign tourists limit themselves to two main locations outside St. Petersburg – Peterhof, and the Catherine Palace in Tsarskoye Selo. Here is our guide to four places that few visitors see, but which are certainly worth a visit. This park has always been in the shadow of its pompous neighbor, Peterhof, which attracted 5.3 million tourists in 2017 thanks to its fantastic fountains and splendid palaces. Built as the private dacha of Nicholas I, “Alexandria” was named after his wife, Alexandra Feodorovna. While a severe ruler, Nicholas was a loving and caring husband, treating his wife as a real lady. That’s why their residence has a romantic landscaped park, a chapel built in the Neo-Gothic style, and the Cottage Palace, which looks more like a private English house. Locals also admire the park’s fauna with numerous crocuses, fragrant herbs and Siberian cedars. Located on the same coastline, but further west of Peterhof, this park was established in 1711 as the country residence of Count Alexander Menshikov, the first Governor-General of St. Petersburg and the closest friend of Peter the Great. It’s not completely clear why the park was given a German-sounding name. 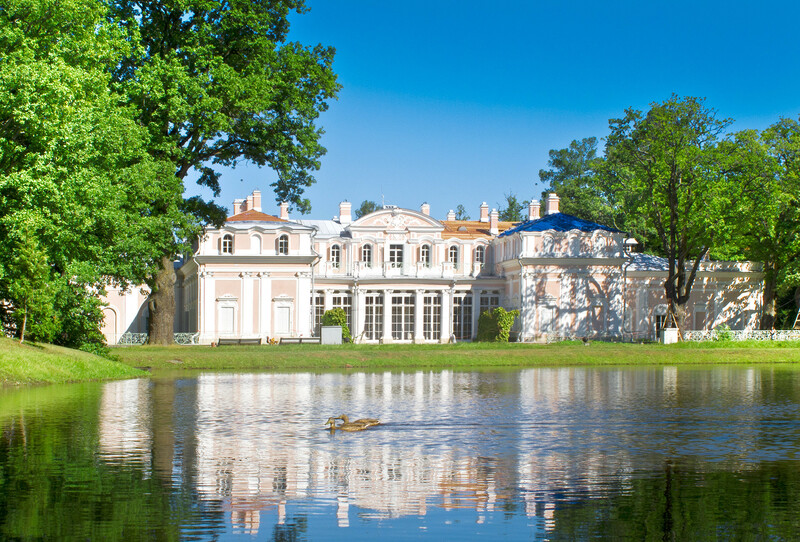 According to legend, when Peter presented this land to Menshikov, his servants discovered a greenhouse full of bitter oranges with the inscription: “ORANIENBAUM,” written in big letters over each of them. Since it wasn’t occupied or destroyed by the Nazis during World War II, the palace is the only royal residence in the Rococo style that has preserved its authenticity. This park and palace were named after Alexander I, who received it as a wedding gift from his grandmother, Catherine the Great. The last Russian tsar, Nicholas II, loved this place, and in 1905 turned it into his family residence. Together with his wife and children, he was kept there under house arrest before exiled to Siberia in August 1917. 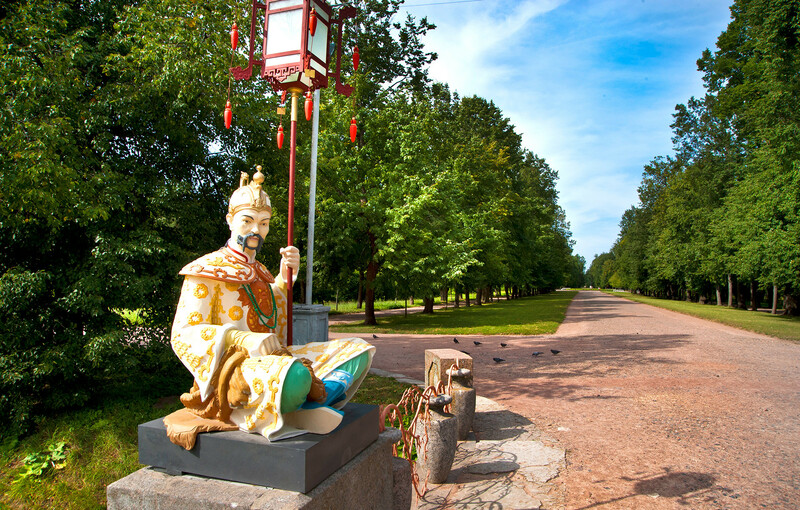 When walking in the Alexander Park, which is about 200 hectares in size, visitors can travel across time and the globe. The Large Chinese Bridge and the elegant arch, “The Large Caprice,” will bring everyone into the era of Catherine the Great when Chinese art was fashionable at the court. Kids will be happy to climb the artificial hill, “Mount Parnassus,” whose name comes from Greek mythology. The Arsenal and White Tower pavilions remind one of medieval architecture. Located on an island, this fort is the perfect place to travel back to pre-Petrine history, before the city was even built. The peace treaty signed there in 1323 became the first border agreement between Sweden and the Novgorod Republic. Still, Novgorodians continued to constantly fight with the Swedes for these lands, but the latter finally seized it in 1611. They significantly upgraded it and today tourists can go inside the last remaining Swedish tower. The fortress was renamed Nöteborg ("Nut fortress"), and the Russian name, “Oreshek,” has the same meaning. It played a crucial role during the Great Northern War: Peter the Great personally took part in its storming in 1702, and this victory allowed him to go down the Neva River and establish St. Petersburg a year later. But then the place lost its strategic significance and became a brutal political prison. Visitors can see the old cells and place where Aleksandr Ulyanov, Vladimir Lenin's brother, was hanged. 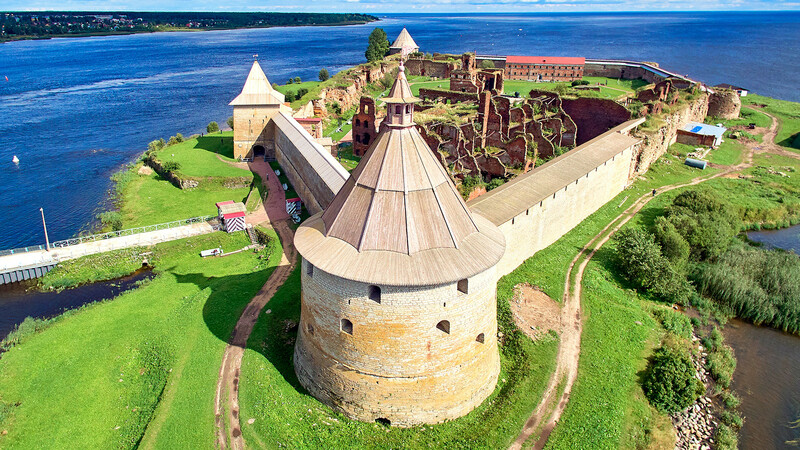 When you’re tired of history and the tragic fates of prisoners, have a picnic near the outer walls of Oreshek, and enjoy the view on Lake Ladoga, as well as watch local fisherman and birds. Note that the fortress is only open from May 1 to Oct. 31, and you must take a boat to reach it. Russia’s ‘Man in the Iron Mask’: Why was a royal baby sent to die in prison?